Anyone who decided to take on the growing rabbits must understand that the end results of his work will depend, to a large extent on creating favourable conditions for the animals. It features the lives of these animals, read the care techniques and rules content, every beginner can achieve success in their breeding. 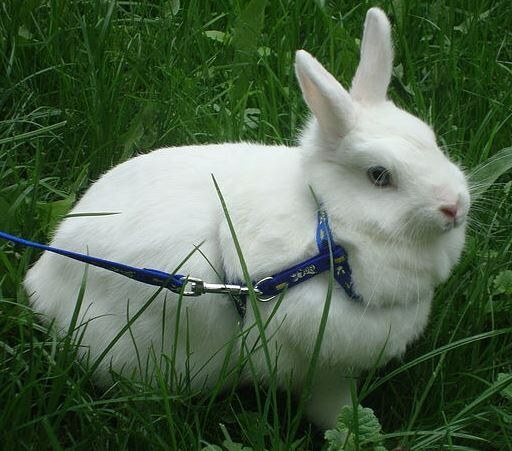 Currently used many methods of keeping of rabbits, among them, such as driven, cell-semi-free. 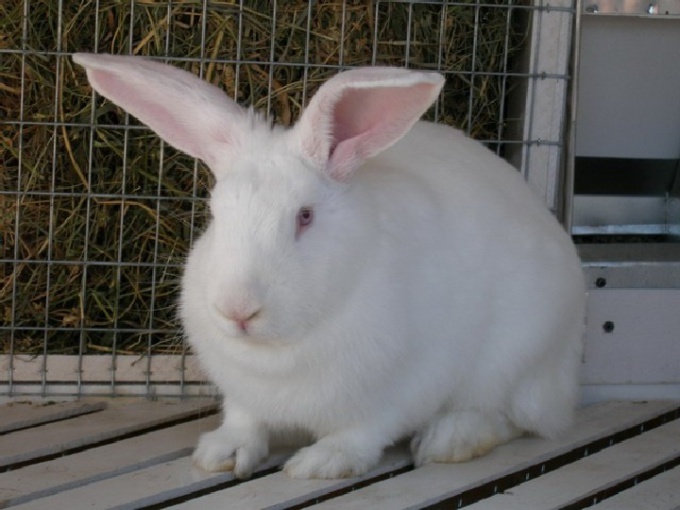 The most common method is the keeping of rabbits in cages, as it allows for more qualitative work on selection and breeding of rabbits, to prevent the occurrence of diseases. Today worldwide there are more than 60 breeds of rabbits. However, not all of them have economic value. From beginners to breeders the most common species is the gray and white giant, chinchilla, etc. a Distinctive feature of this breed is its size, up to 60 cm in length and up to 5 kg live weight, young animals develops intensively. They are low maintenance, hardy. First of all, it is necessary to determine the place to host cells. The station should choose a dry, elevated position, away from the marshes. The moisture at which the rabbits feel comfortable, is 60-70%. Especially rabbits harmful draughts and dampness. 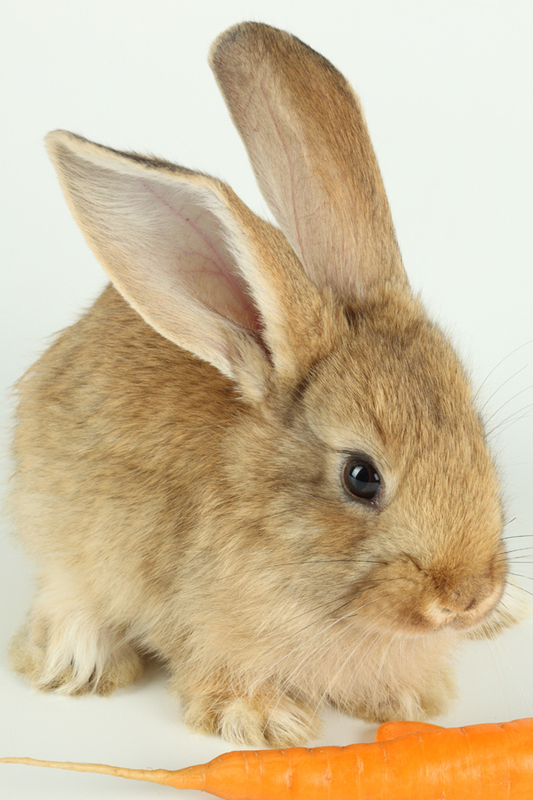 Rabbits consume a high amount of oxygen. They do not tolerate heat. The influence of the sun may cause heat stroke. But they are resistant to low temperatures, are adapted to spend the winter outdoors, although such content must be treated with caution. Cells can be constructed of planks and metal mesh. To do their preferable blocks, each block of two cells. A partition between the cells is a feeding trough for grass and hay from metal mesh. Each cell consists of two compartments, nesting and feeding, which are separated by a wooden partition with a hole 20 by 20cm. For female office has 40 cm, and 60 cm feed width of the cell. Nested branch is solid, and the fodder of galvanized mesh with a mesh size of 16-18 mm, wire thickness 2 mm. Sometimes, the grid is replaced by strips of hard wood, with gaps between them 1-2 cm. feeders and waterers are fastened to the aft compartment on the front wall. Feeders for mixed fodder and root crops, as well as drinkers supposed to do at a front side of the cell. Feeders do 50-60 cm in length. Attach them so that after uploading the feed, she leaned to the inside of the cell and its outer side against the front wall. The roof is lean-to with a slope of 15°, covered by roofing material, with a peak of 30 cm for protection from sun, rain and snow. Cells are installed at a height of 0.7 m from the ground. The cells must be oriented so as to prevent the effects on animals direct rays of the sun. Basically the cells are trying to expand to the West or East facade. Breeders, as a rule, prefer to raise animals in cages designed facades on top of each other, allowing in the winter time, without much effort, to build cells above the gable roof, while the sides to close the wooden boards. Also used and combined content, when in winter the cells are transferred into the barn, this is especially true when breeding rabbits fall in winter. Year-round exposure to the outdoors is beneficial to animals, they become more resistant to disease, their hair becomes thicker and shiny. Rabbit breeding is an industry, with a rapidly increasing volume of the final product and deserves due attention. From the reproduction of rabbits, the people get the products are in constant demand. Skins are used for furs. Meat rabbits is a delicious dietary product, contains a high amount of protein. Its advantages allow us to recommend to eat in people of mental labor, the elderly, children, people with diseases of the gastrointestinal tract, cardiac and other diseases. 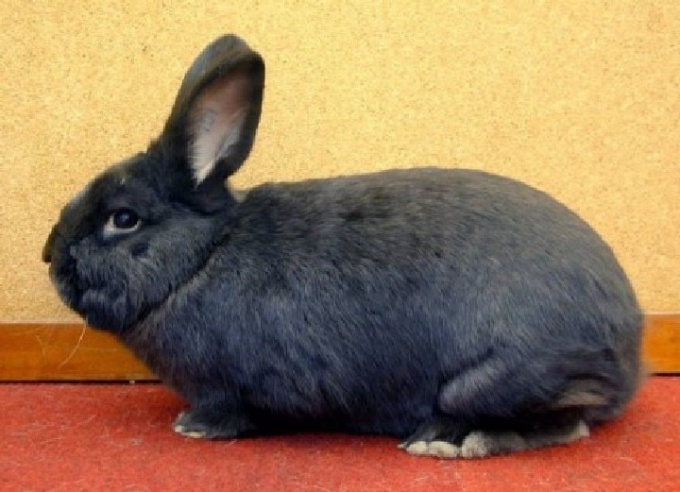 Breeding rabbits in the home is becoming more popular. Due to their high fecundity at low cost you can get a year a decent income from the sale of young animals, meat and skins. First you need to make the cells and choose a good place for their accommodation. It may be a barn or a shed, importantly, no wind. 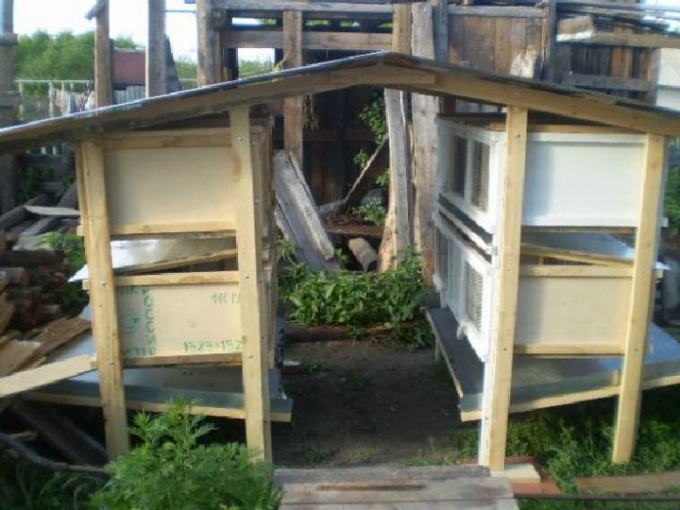 Cells you can buy or make yourself from boards, thick plywood, metal mesh. Cage for rabbit of medium size is made in the following sizes: 90 cm length, 60 cm width, 45 cm height. For rabbits include nested branch. To buy better rabbits from breeders, private owners or rabbit farms. From the market it is better to refuse, where you can buy the sick and the poor animals from which good offspring are not provided. To feed rabbits is easy. The basis of the diet is hay. It should be green and not rude. Hay better harvest it yourself, so you can be sure that it won't accidentally get a poisonous plant. In the summer of rabbits fed dried grass. A rabbits diet must contain grains. It could be wheat, oats, barley. In addition, give the roots, mineral salts, be sure to pour in a water bowl with fresh water. Feed rabbits twice a day. Rabbit can be happened at the age of 5-7 months. Males to allow mating to 6 months. Animals should not be fattened, especially for females. 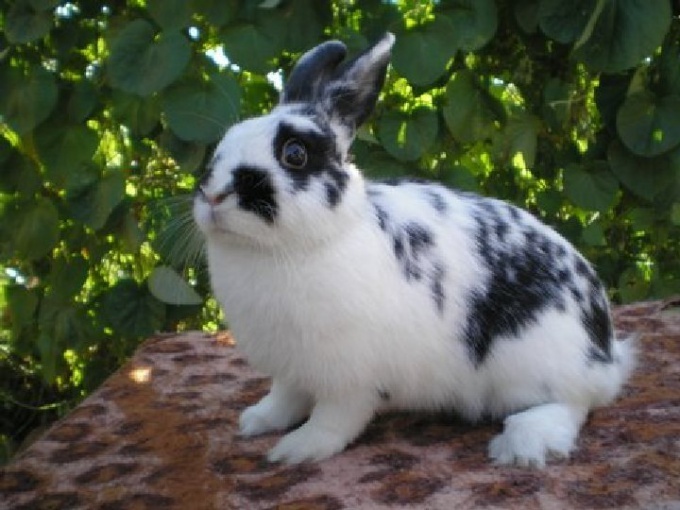 Acrolina rabbit bears rabbits 30 days, there may be fluctuations in 1-2 days. The breeding of rabbit is fast, usually overnight. Rabbits are born completely naked and blind. You need to ensure that the nest is left a corpse. This should be done very carefully, the hands should not have odors, it's best to RUB them litter females. The mother does not sit constantly with their kids. She periodically visits the nested branch, digs down, feeding the rabbits and buried them again. Baby bunnies open eyes at 10 to 14 days, grow fast, with 17 days of age begin to leave the nest and feed together with the mother. Monthly the bucks is deposited in the cage for the young, and the rabbit again happen. Young intensively fed, while achieving 3-4 months, the rabbits are ready to slaughter. 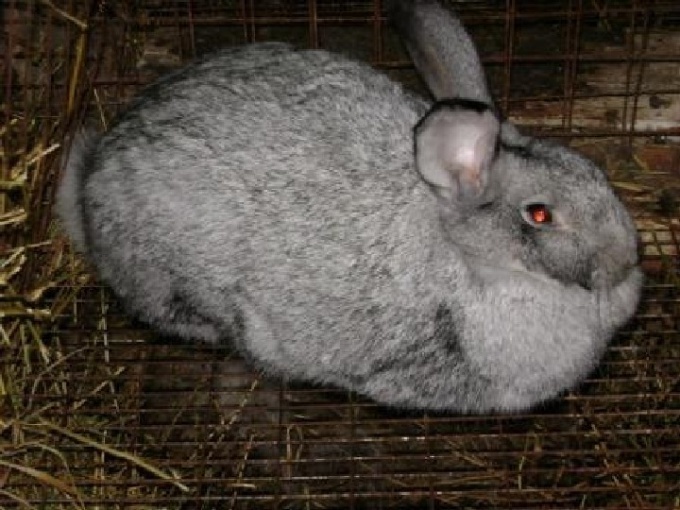 But, if grown meat korkovye of the breed, the slaughtering of rabbits based on their degree of completion of molting. Summer fed greens Jerusalem artichoke, winter - themselves pears. I want to say that our grass is not always sufficient amount of nutrients, so the hay from them often turns out poor. If possible, grow amaranth is the most nutritious greens for the rabbits. The farming of rabbits in the pit is one of the most convenient and practical ways of growing. This method is used in places where low-lying ground water in the village or at their summer cottage. Also rabbits can be grown in the cellar and in the basement. In the basement of the same scheme – obmenivaetsya a certain part of the area and made the hole.